Another great resource from the guys and gals at YouVersion! Whatever we can do to get more people (young and old) to read more scripture…this is a great resource. You can download this video and play for your students or church-wide. If you’re interested, you can download the video in various formats here. Updated. If you are not using social media to further your ministry you are missing some great opportunities. The social media footprint that you and your ministry has, needs to be examined on a regular basis. For example, our student ministry used to have a myspace page, not anymore. Not because myspace is going away (it is not) it is just because the demographic of our student ministry is less impacted by myspace than it is with Facebook. But there are tons of ways to connect with students via social networking. To better use your time, try this…print up a quick survey for your students and ask! Crazy, I know…keep it simple, we all know that the combined user totals for twitter and Facebook are over 600 million (if you didn’t know that, now you do) so you don’t need to ask how many use what…just ask which they prefer. Would you rather get info about (your name here) from Facebook/myspace/email/twitter/ning.com etc. Would you be interested in YouVersion Live? (see below for video explaining this wicked cool feature) I am finding more and more students using their cell phones during our teaching time to follow along with the scripture that I am teaching from. Just get a feel of what communicates to your students the best and spend your valuable time on those. Your students still may be the type to want a postcard. I have students that don’t have access to internet unless it is at school, so I just have them on a list to mail calendars to. There are not many, but I don’t want to exclude those students that cannot afford the Inet at home. A huge resource of testimonies from www.iamsecond.com . If you haven’t seen these videos, you need to. Sometimes when I need to be encouraged, challenged, or inspired…this is where I go. That is the power of video. I encourage our students to watch these when they ask how to share their story. Sure it won’t be as dramatic as some of these…but people want to here how your faith has changed you, not anyone else. Share your faith. Amazing use of video to explain something that some of us know…but all of us should. My question is how can we embrace the technology in a way that brings Glory to God? Sure the social networks are great for marketing/advertising/getting the word out…but how can we use it to share Christ. This is something that I ask myself over and over…can we as Christians create culture? The message is amazing…better than any new ipod or flat screen…how can we get Gen Y and beyond to use social media to share their faith? Is it just a high tech Christian T-shirt or can it be much more than that? Isn’t this fun…? There are many apps that allow us to read scripture and share “thoughts of the day”…but what else can we do? 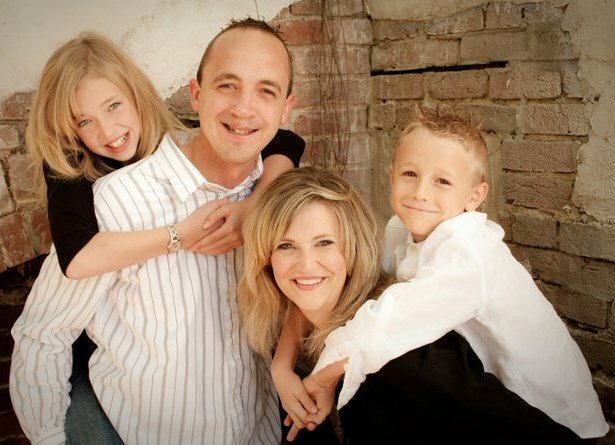 www.studentministry.org is Tim’s site, he is the full-time youth pastor at Alexandra Covenant Church in Alexandria, Minnesota. He is a resource generating phenom that has developed some great stuff, including www.ministryquestions.com . You would be wise to subscribe or just visit regularly. Weekly highlight videos I put together during our L.I.F.E. Emphasis during ’09. Always a crowd pleaser for students to see themselves on the bigscreen! Used Adobe Premiere for editing, shot on a Sony Mini-DV video camera. Below you will see a few more examples of how to use video in your ministry. I repeat…everyone looks cool in slow motion. The following video was literally shot in about a half-hour at a Student Leader (STUlea) pool party when we thought of a way to promote the new website for Flipside 517…and yes, I know it says it is under construction, we are reworking it right now and it will be up soon lookin’ sweet. Room Invasion TRoberts…example of trying to get footage from a room with minimal props/material around. Obviously these won’t be near as funny without knowing the particular student involved, but we do what we can. I hope this gets some creative juices flowing in your ministry.